Here we are a group of bloggers in Quebec just across the border from Ottawa having poutine. 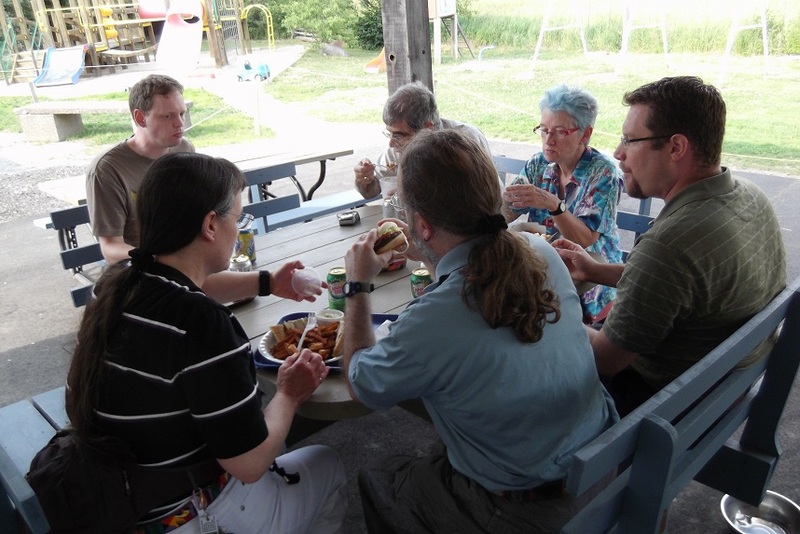 Jerry Coyne, Rosie Redfield (blue hair), T. Ryan Gregory, Steve Watson, and Seanna Watson. Picture is taken by Larry Moran.